Sunday, May 28th, is National Hamburger Day. 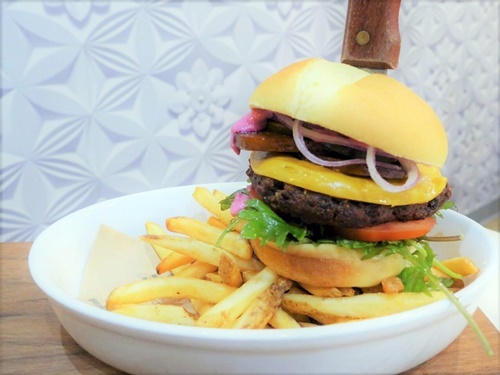 We know that there are many places in Uptown to grab a delicious burger. But if you're someone who doesn't eat meat, or limits your intake, this is a celebration that you normally pass up. Kāl'ish is located at 1313 West Wilson. You can read more about their menu, their hours, and their founders at their website.